Math has lots of applications, but you may not have known that drawing pictures was one of them. A big part of truly understanding mathematical functions is understanding what they look like. How does an adjustment to a function affect how it looks on the page? Our Grade 12 Advanced Functions classes recently got more familiar with visualizing functions by doing something you might not expect: drawing. Each student was challenged with replicating one of several existing sketches in the graphing software Desmos using functions alone. Students applied their knowledge of what each function looked like to get just the right series of lines and curves to create images from butterflies to the CN Tower. The project is the perfect lead-in to the class’s upcoming short culminating evaluation. Each student will create a roller coaster path, but this time they’ll do it algebraically. “Everyone was really into it!” Megan says. This student even took the time to graph out her elephant's name. In March, Grade 7 students were challenged to ‘Design for Disaster’. 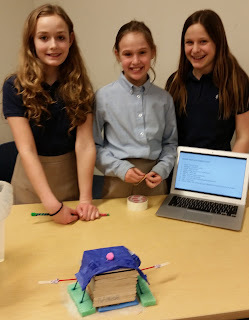 The students’ goal was to use their scientific knowledge and understanding of resources to design a device that would allow their literary character to survive a natural disaster. In the process of completing their prototypes, students were challenged to integrate subject knowledge, think creatively and develop their teamwork skills. Students had the opportunity to create diverse products that covered several curriculum expectations. Project tasks were designed to provide appropriate structure, while being open ended to foster critical thinking and capture student interest. Students could choose how they demonstrated their design process, what they built, what supplies they used and even where they worked. Choice served to empower our students’ thinking and creativity. Taylor Davis ('21) commented that “getting to be creative and build things without a written plan pre-given” was really rewarding. While reflecting on connecting her school subjects in one project, Zoe Starnino ('21) stated that she “really liked doing all of the science and math parts because it was kind of like you were solving a mystery, or going on an adventure, and you just kept discovering all these things”. Learning should go beyond curriculum. A collaborative approach to design thinking was used throughout the week. This allowed students to learn from each other, as well as problem solve in a team. Students experienced successes and failures throughout the week. While no two groups took the same path, all students realized their design goals in creating final products they were proud of. Students and teachers are looking forward to the second Grade 7 Integration Project in June! 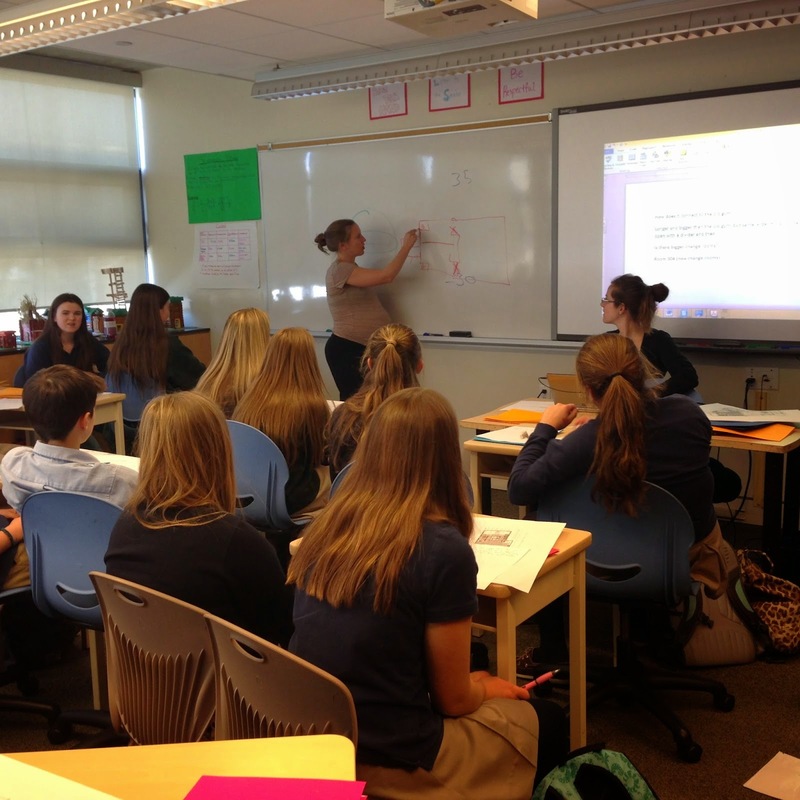 Last week, teacher Kathryn Connelly shared her thoughts on our Grade 8 Integration Project. 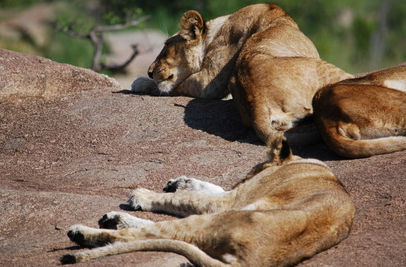 This week, Grade 8 student Graham Palmert provides his perspective on the same project. During the week before the December holidays, the Grade 8 students were involved in an Integration project which drew from our four core subjects; math, English, science and social studies. Ways to solve this issue. For English we wrote a final proposal, which outlined the research behind the issue we chose, how the issue affects humans, and potential solutions. In relation to math, we completed a data analysis. Each group chose their own topic to explore, such as how microbeads affect the water systems in Toronto. My group, which included Owen Bates and Jackson Cowie, learned about where lead comes from, how it affects us, and solutions to solve the problem of lead in our water system. Next year, the World Health Organization estimates that 143,000 people will die from lead poisoning. Lead pipes themselves elevate the risk of health issues for Toronto 35,000 households. This project was a change from a regular classroom that provided different challenges. One challenge we faced was balancing working in a group, and dividing up how much each person had to do. The project itself was more challenging than the regular classroom work we are used to because we had to use knowledge from all four subjects instead of just one. It was also different than a classroom because the whole week we worked in small groups, and I usually do not have class with some of my group members. A proposal on what the problem was and how we can fix it. A visual component. Our group decided to make a Google slides presentation on how lead affects us. Other groups used videos or poster boards. Upon completing the project, we showed our work to a Toronto city councilor, Jaye Robinson. Hopefully she will consider our ideas and make our water cleaner. This was an interesting week for me as a student, which I thoroughly enjoyed. Take aways from the week were that Toronto’s water isn’t as clean as everyone thinks it is, and that working in a group requires a lot of patience. Even though it was difficult, at the end, I think we all felt rewarded for the hard work that we had accomplished. This December, Greenwood piloted a unique project for Grade 8 students: an integration task involving math, science, social studies and English components. This problem-based learning activity requiring the students to look at a water issue in the city of Toronto and examine how this issue has either impacted human settlement OR is impacted by human settlement. How did this project go? Teacher Kathryn Connelly shares her thoughts. Next week, we'll bring you a student perspective on the same project. The Grade 8 Integration project took flight on the week of December 14-17, 2015, with great success! the water issue they studied. The students were introduced to the project by going on a field trip to the RC Harris Water Treatment Plant. They took a tour of the facility and learned about where our water comes from, how it is treated, and what Toronto’s challenges are in terms of water treatment. Back at school, the students were placed into small groups and were presented with a problem statement: How does human settlement impact the physical environment and sustainability of water resources in Toronto? What are possible solutions to this problem? In small working groups, the students chose from a variety of topics directly related to the science, social studies, math and English curricula. In teams, the students researched, summarized and identified the connection between the science behind water quality issues in Toronto and how human settlements have impacted these issues. The students were engaged and energized through their investigation and new knowledge of the relevance of water issues in Toronto, and worked collaboratively to think critically about their research and data, while also thinking of potential solutions to their chosen issue. The ideas that the students came up with were innovative and inventive. Throughout the collaborative process, the students were extremely engaged and active problem solvers. They worked well within their groups, divided the work effectively, and worked together to find the most relevant research and data. As a teacher, it was most impressive to observe their minds at work! As a group, the students created a visual component that reflected each of their written proposals, which were completed individually. The goal of the project was exhibited through the presentations, as the students visually and verbally presented upon the history behind their issue, their analysis of the present situation and predictions of future trends of their issue, as well as the possible solutions/recommendations. On the last day of the project, Toronto City Councillor, Jaye Robinson, listened to each group passionately present their discoveries and solutions to Toronto’s water quality issues. Overall, it was an extremely successful integration project which the Grade 8 students embraced with open arms. Through a problem-based approach to the project, the learning became wholly student-centered, which enabled the students to work to their full potential. 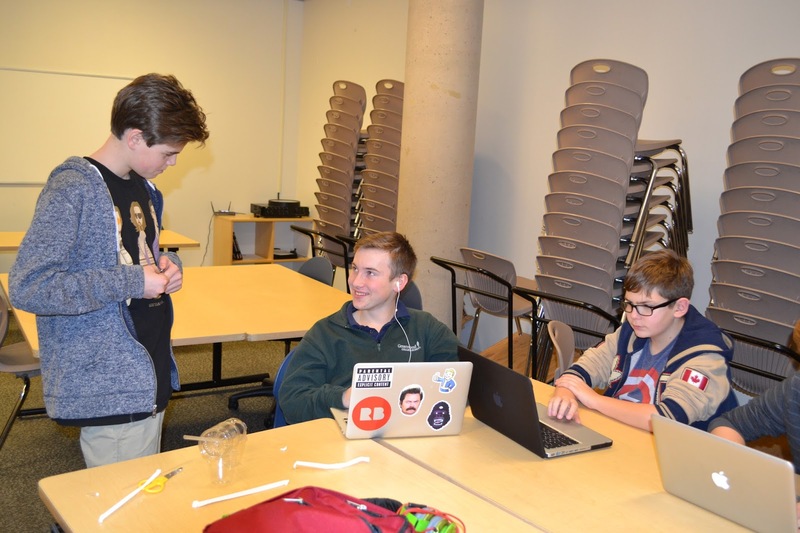 This project enabled the Grade 8 students to embark on a different type of learning than they were used to, allowing for more flexible and innovative thinking. The students thrived, showing them that hard work and dedication to a relevant issue leads to a heightened sense of accomplishment. The project also gave the team of integration teachers an opportunity to communicate and collaborate outside the classroom walls, which was enriching and energizing. The first integration project helped solidify the value of student-centered learning, which will continue to be a focal point in future Grade 7 & 8 integration projects. Recently, Grade 7 students completed a unit of work focused on gaining a better understanding of the key issues related to climate change. Having watched the documentary Revolution by acclaimed Toronto filmmaker Rob Stewart, students were tasked with orchestrating a public awareness campaign focused on an environmental issue of their choice. 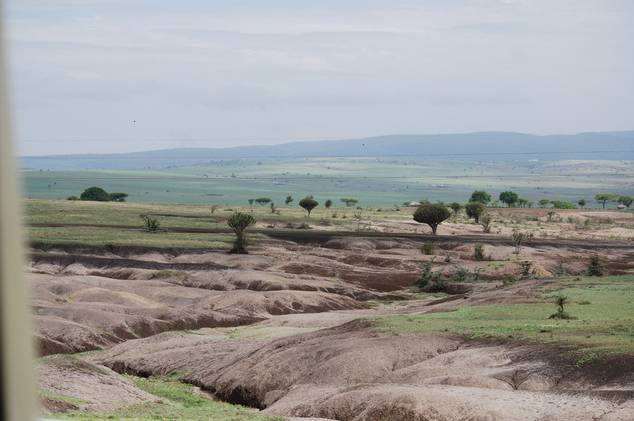 The aim of this task was to raise the environmental consciousness of the students, as well as develop their ability to learn, interpret and synthesize geographical information and data. Once they had made their selection, students had to conduct further research on their topic and then generate a public awareness campaign using a minimum of three communication outlets. This project was differentiated based on students’ interest. Students were then able to further personalize their project by choosing the manner in which they communicated their message. While all students had to demonstrate the ability to explain the concept of sustainability and defend their point of view, they were able to show this in a number of ways. 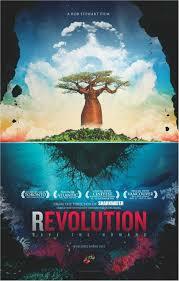 Some students created visual advertisements and others redesigned the poster for Revolution to reflect a focus on their issue. For a period of time surrounding the project, the Greenwood community was made aware of these issues while students lobbied for support through petitions and utilized their social media accounts to spread the word online. Students also contacted politicians across Ontario directly to share their concerns. They even received a response from the Office of the Prime Minister, thanking the students from Greenwood for their intelligent communication about their environmental concerns. Ultimately, the Grade 7 students developed their ability to locate and record geographical information and present and defend a point of view. They not only improved their awareness of environmental sustainability, but also raised the consciousness of the Greenwood community in regards to these important issues. As climate change looks likely to impact future generations more significantly than previous generations, this foray into social activism (with support from Mr. Harper himself, no less!) was a valuable exercise that will hopefully encourage the students to engage further, as active global citizens. Recently, Grade 12 students in the Headlines of History class were given the opportunity to travel back to revolutionary France and put King Louis XVI on trial for crimes against the people and the revolution. By facilitating a trial that loosely follows the actual events of 1792 (which, unfortunately for King Louis XVI, resulted in his execution) students were able to work together, focus on their individual strengths and develop their critical thinking skills. In Headlines of History, along with other Canada and World Studies (CWS) courses at Greenwood, we have been working toward integrating and fostering an approach to history education that develops students' historical literacy. This is done using "historical thinking concepts" that engage students to become competent and critical historical thinkers. As researched and developed by the Historical Thinking Project and reflected in the recently revised Ontario CWS curriculum, teaching students how to understand and leverage historical thinking concepts helps them understand and analyze historical issues from a number of angles. Students had to use their understanding of the different positions and perspectives of both Enlightenment-era thinkers and the varied interests and factions of French Revolutionary thought. Students were divided based on their own personal interest and strengths into teams that consisted of the prosecution, the defense and the jury for the trial. After taking the perspective of specific historical actors, the students researched and determined their position on Louis XVI's culpability, based on their character's philosophy. For example, a student who had chosen to take the role of radical Jacobin Maximilien Robespierre had to address the charges and the ethical issue of the trial by using only Robespierre's perspective. This process was successful because it developed the students' ability to remove their own contemporary opinions and perspectives on the events of the past and develop historical empathy. This enhanced their understanding of the complexities of historical issues and in turn, developed their critical thinking abilities. It also allowed students to work together and bring their own individual strengths to bear in the activity; each student was able to leverage research on Enlightenment thought that they had developed earlier in the unit. The result of Louis XVI's "second trial" at Greenwood? On this occasion, the students in the jury found him guilty of all charges - as the National Convention did in 1792 - but unlike the 18th century trial in Paris, Louis was spared execution and given life in prison instead. 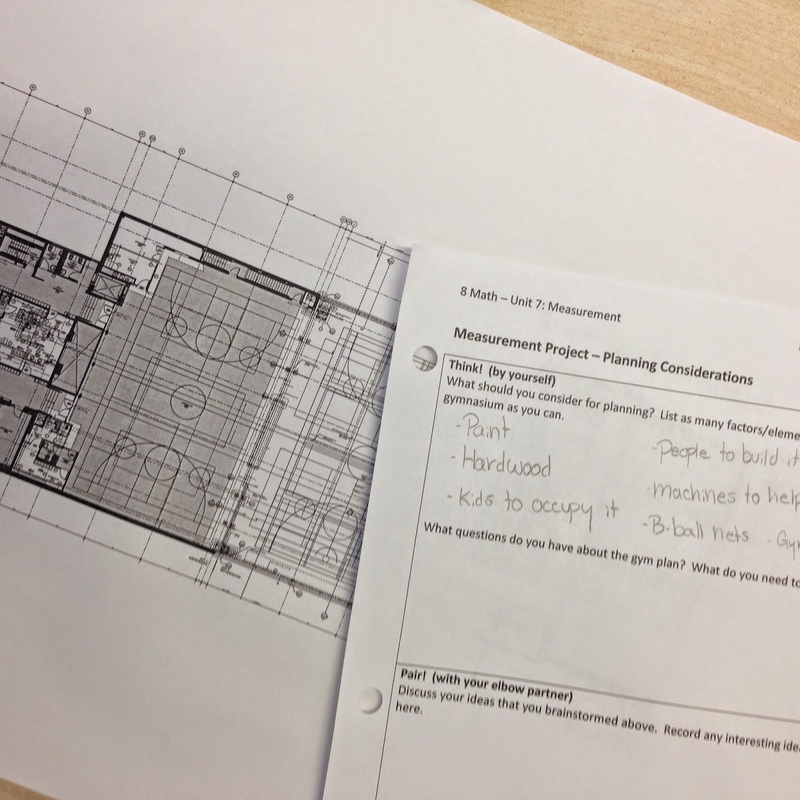 Grade 8 Mathematics students have been experiencing real-world thinking through an inquiry project focused on the construction of a new gym for the school expansion. 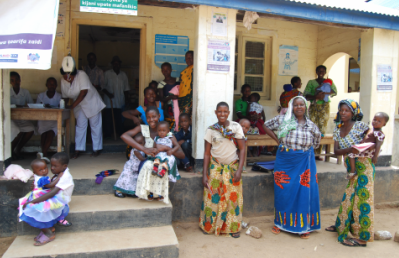 The focus of the project is design and planning, both spatially and financially. Before the students were introduced to the goals of the project, they spent a lesson brainstorming various considerations needed when designing a new gymnasium for the school. Their only resource was the blueprint for the third floor addition. Students then interviewed the school's Athletic Director and Subject Team Leader of Health and Physical Education to get more detailed information about specific features needed in a gymnasium and a sense of the major factors to consider when designing and planning a new gymnasium. Once the students had completed the brainstorming and interview tasks, they were given a package that included all the information needed to design and determine the cost of the new gym. The package included blueprints, photos, building code requirements (such as the fire code), sporting requirements and budget information. Students critically examined the resources provided and determined which information would be relevant to their design. The last component of the project was for students to design the floor plan for the new gym. Final designs included dimensions, the layout for the gym and an estimated cost. Students are presenting their design process and sharing some of the challenges they experienced with a local architect, who will then offer some additional points to consider when designing a physical education space. The Grade 8 Math class has been engaged and excited by this project, as it has an authentic real-world connection, with a focus on creativity. The students were encouraged to explore their ideas and to use critical thinking and problem-solving skills. One student stated that their favourite part of the project has been "finding information in a different way. We are doing the work, and we are almost doing what you would do as a real architect." 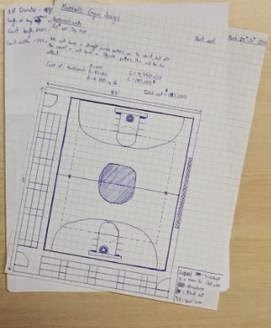 Another student recognized the importance of the process, or "how hard it is to actually create a gym, and all the thought you have to put into the different aspects of it." Students realized that "you need to do a lot of things [and] you need to choose," while using mathematics to design, plan and financially justify your design. Grade 8 students have thoroughly enjoyed completing an open-ended and realistic task that promotes creativity and supports the development of real-life skills through a mathematical lens. Learning different forms of art allows students to push their creative boundaries, express themselves in various ways and explore new skills and techniques. Art students are learning to communicate effectively and are involved in the community in different capacities. In Fashion Design, students access challenge through consultation with their teacher, who pushes them to grow and take risks with their designs. Throughout the fall, Grade 11 and 12 Fashion Design students applied their knowledge and understanding of costume design and their sewing skills to a real world situation by designing and creating costumes in different capacities within the school's community. 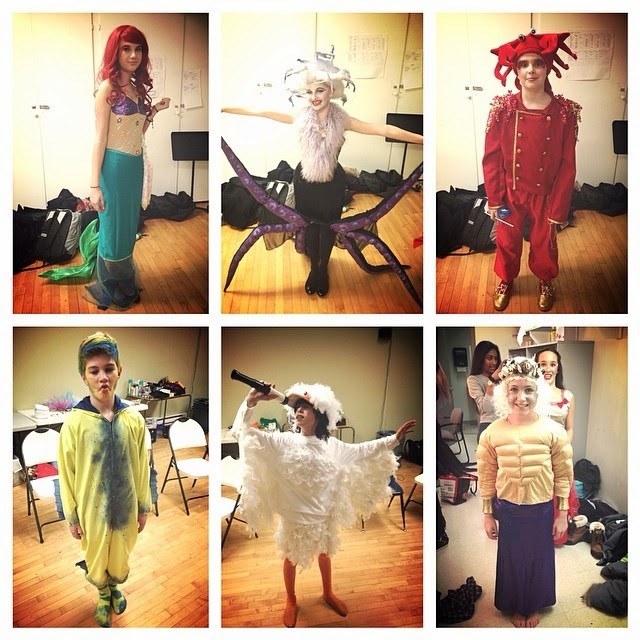 The Grade 12 students worked on the junior play production, The Little Mermaid, while the Grade 11 students teamed up with the Grade 7 Drama class to work on costumes for their production of James and the Giant Peach. The Grade 12 Fashion Design students were assigned three to five costumes based on preference, construction complexity, intricacy and skill level. The Grade 11 students were assigned one costume based on the same criteria. In both grade levels, students were encouraged to explore a variety of options and experiment with different techniques before moving forward with a final design. This ensures students consider multiple factors to create the most successful design for a particular character while still fitting a specific actor. Receiving feedback and reflecting on one's work throughout the process is a key stage in the the creative development of a successful piece of work. Students were required to document their costume journey and how they worked through the creative process to achieve their final product. Each student designed their costumes using techniques that they were familiar with but that also challenged them in some way. Students who had not sewn prior to taking this course created garments using techniques such as elastic waistbands, ribbon ties and hems. Students who had some experience sewing were challenged with more structural features such as boning, darts and zippers. With support, guidance and encouragement from both adults and peers, each student conquered their own personal challenges, developed solutions when problems arose and created a unique costume design following their own creative interpretation. These successful art students created cohesive and elaborate costumes that truly reflected their individual ideas, skills and styles. Success in the 21st century is not just about what you know – it's about what you can do with that knowledge. Leslie McBeth explains how her Green Industries course encourages students to be resourceful, resilient problem solvers who are ready to take on any challenge. working collaboratively to overcome obstacles. These articles caught my attention as they speak to one of my primary goals as a teacher of Green Industries: To develop students who are resourceful, resilient problem solvers, confident in their own personal strengths and intelligence. I hope to create a classroom where learning becomes not only about what the students know, but what they can do with that knowledge. As part of the project-based focus of the Grade 11 Green Industries course, students undertake a challenge that teaches transferrable design thinking skills while simultaneously requiring them to apply their knowledge about the environmental impact of the agricultural industry, the importance of local food sources and food security. The project starts with several small design-thinking and problem-solving challenges as warm-up activities at the start of each class. 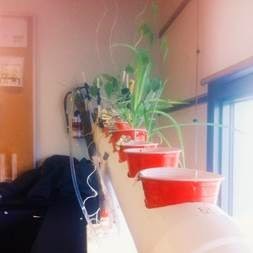 Next, the students complete research into various soil-based and hydroponic gardening systems, factors that affect plant growth, the specific needs of different plants, lighting and watering techniques and appropriate fertilizers. Then, with the help of an Industrial Designer who visits the classroom, they learn about various problem-solving approaches and start designing their gardens. From here, students build their designs. This prototyping phase of the design process requires on-the-spot quick thinking, innovation and resourcefulness to complete. From cutting up recycled hockey sticks to drip systems that flood the classroom, this phase is often busy, noisy and messy! 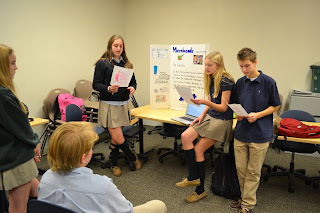 When they have a working farm, students create a marketing campaign to sell their farm system during a “Dragon’s Den” style competition.This requires them to explain why consumers should want to grow their own food, recalling information they learned about sustainability and food security earlier in the year. Finally, students round out the design process by reflecting on their work. This part is very important as it allows students to understand and explain why they were successful or where they failed, synthesizing information and making recommendations for future changes to their prototypes. This project challenges the students to be independent thinkers, while also working collaboratively to overcome obstacles, and no two solutions to the problem are ever the same. Students are required to view the problem from many angles and to place themselves in the shoes of various professions, from designer to builder to farmer to businessperson. I also encourage students to make mistakes – there is no “right” answer and no prescribed method for solving the problem. Students are graded on their process, not just the product, so if all of their plants die they can still be successful by reflecting on the process. Although it is unlikely that many of my students will go on to be farmers later in life, the goal of this project is to develop a culture of creative thinking in the students. According to Bloom’s Taxonomy, “creating” is the highest order of intellectual behaviour in student learning. Through a focus on problem solving and design thinking in the Green Industries classroom, students are able to move beyond remembering, understanding and even analyzing to create their own ideas and solutions. In the 21st century, young people need to be able to transform information in the face of ambiguity and create disruptive innovations in addition to knowing the “right” answer. To follow the Green Industries students in their quests to grow organic food indoors, visit the Green Industries Blog, Greenwood Green. This is the infamous question that many students ask math teachers. The math department at Greenwood uses that question as motivation to change the stereotype that math is only useful for mathematicians. Our hope is that by making mathematics applicable to real life and more meaningful to each student, students will be able to answer this question themselves: math is used each and every day by everybody. In the split-level college preparation mathematics course (MBF3C/MAP4C), we have just completed our first project-based learning unit. In this unit, students learned about scale diagrams, units of measurement, optimization and cost estimation by designing a new kitchen. Students posed as designers for HGTV, with the task of designing and planning a kitchen renovation. They were given a floor plan and dimensions for an existing kitchen, as well as an allowable area for an optional extension. The students had to interview their client (a Greenwood teacher) to determine his preferences, taste and needs for his new kitchen. Students then used the program Homestyler to create both 2D and 3D scale diagrams with many views of their design. Lastly, they had to present their design using a sales pitch to a panel which included the client. Accessed several resources to determine required information or to find inspiration for their designs. This project was personalized for each student. They received the necessary structures to be successful, the freedom to work at their own pace, a variety of resources to access information and complete control of the creativity of their design and sales pitch.